Jennifer Hahn, 46, will be competing in modified volleyball at the Fall Games this weekend (Oct. 26-27) and welcomes athletes and coaches from around the state to her hometown of Rockford. She’s used to welcoming people to the Rockford through her job at the Rockford Area Convention & Visitors Bureau. Jennie works in group sales of the RACVB assembling bags for visitors groups. She includes tourist information, map, premium items and coupons in the bags. Jennie also clips articles about the Rockford area from newspapers and magazines for the bureau. She began volunteering at the bureau in 1991 and was hired there in 1998. “I like my job a lot,” said Jennie. “It’s a lot of fun and I get to meet new people.” She says the people she works with are “nice” and willing to help her learn new things. “Jennie is a valuable asset to the RACVB office and I am happy to have her on the team,” said Jenny Caiozzo, Group Services Manager at Rockford Area Convention & Visitors Bureau. “We are ‘Team Jennie!’ in our department and I look forward to the days that she’s in,” she said. Jennie’s proud to have the state volleyball and equestrian competition in her hometown. She says the best thing about Rockford is its “sportsmanship” and that the community is very welcoming of Special Olympics athletes. 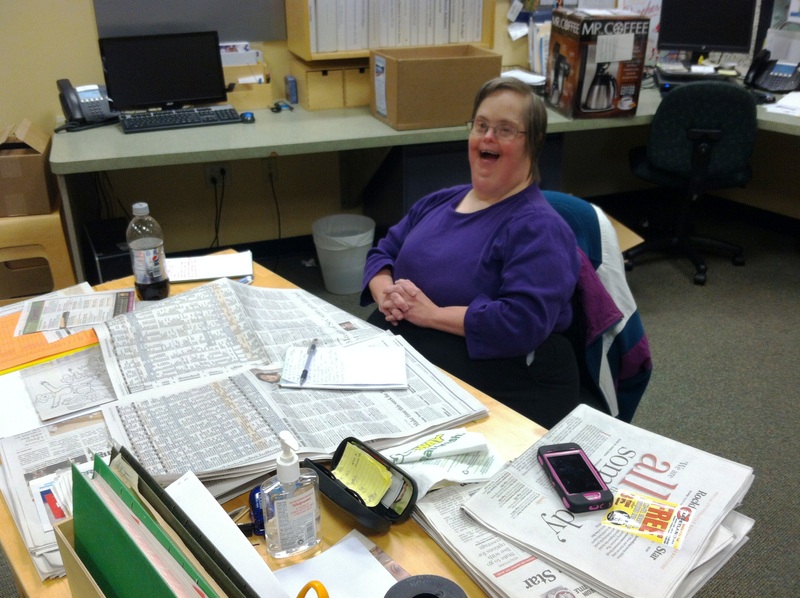 During her nearly four decades with Special Olympics, Jennie has grown a lot. “I’m better at making friends and in better health,” she said. Rockford Special Olympics coach Anne Vestal agreed. “Special Olympics is her avenue to be involved,” she said. “She has a lot more friends; she’s more involved, more outgoing and will now speak up for herself.” Jennie now has the confidence to live independently in a condo with fellow Special Olympics athlete Carissa Lee. 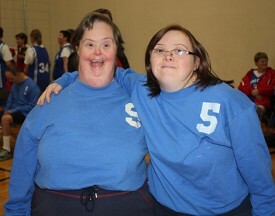 Her participation in Special Olympics gives Jennie a rich social life. “It’s fun. I have lots of friends like me,” she said. But she always likes coming home to Rockford.